Interested in learning how short videos of physical phenomena can be used to create excellent, authentic learning opportunities in your classroom? This workshop will explore the various ways Direct Measurement Videos can be integrated into your physics lessons. Direct Measurement Videos are free online resource for physics teachers developed by several award-winning educators. They have been used successfully at a variety of levels: from 9th grade all the way through the college freshman level. For this workshop examples will be drawn primarily from mechanics. 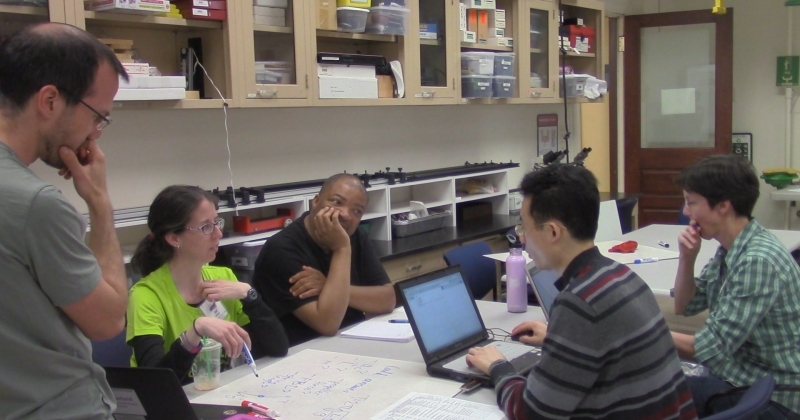 We’ll look at ways these videos can be used to develop students’ conceptual understanding, problem solving skills, and interest in inquiry based learning. Workshop time will be split between trying out activities in “student mode” and discussing them in “teacher mode.” Participants will be encouraged to share their ideas. You’ll surely walk away with some great ideas about how to utilize these videos in your own physical science or physics classroom.